A quick and easy crochet headband to keep your ears warm! This easy crochet headband pattern is a fun and elegant accessory. It’s perfect for those days when it’s not quite cold enough for a full winter hat, but when you still need something to keep the ears warm. Add the whimsical loopy flower for a little extra flair. 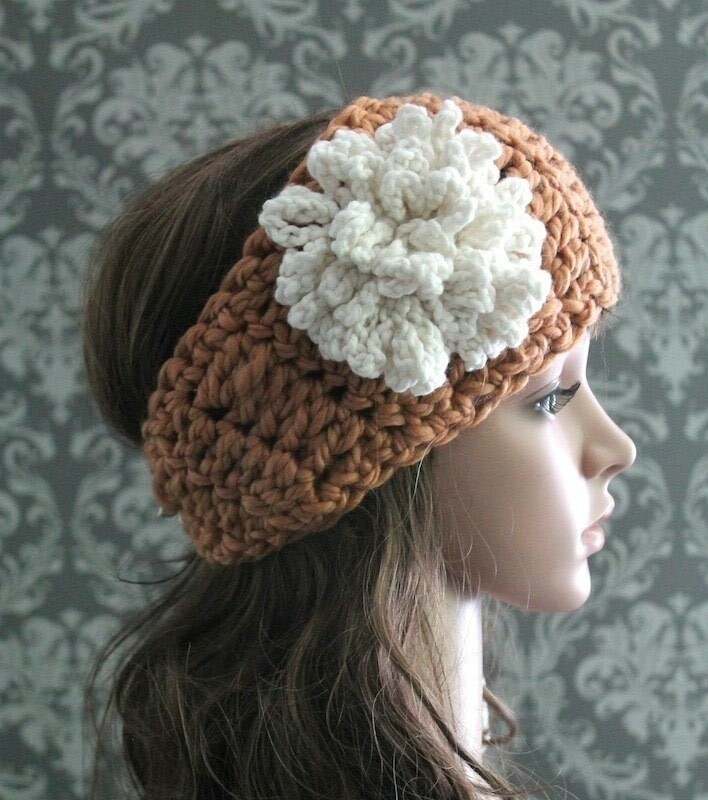 The headband part is made with the bulky yarn and size K crochet hook. 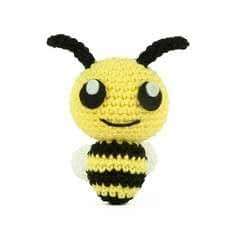 The flower is made with the worsted weight yarn and size I crochet hook. The chain 2 at the beginning of each row does not count as a stitch. Size: average adult or teen. Attach the button to one end of the headband. Slip the button through the last row of stitches on the other end to secure. With worsted weight yarn and size I crochet hook, chain 2. Round 1: 10 sc in 2nd chain from hook. Join to first st. Round 2: *Ch 10, slip st in front loop of next sc; repeat from * around. Join to first sc from round 1, in the back loop only. Round 3: 2sc in back loop only of same st, *2sc in back loop of next sc from round 1; repeat from * around. Join. Fasten off, leaving a long tail to secure the flower to the headband.